Protesters waved banners reading “Dying out of poverty” and other messages, calling for an end to the strict austerity measures imposed as a condition of the massive 2010 bailout package doled out by the so-called troika (the IMF, EU and ECB). Greece’s new leftist government, which was swept into power in the January elections, has promised to renegotiate the country’s debt and pull it out of its long-brewing financial crisis. 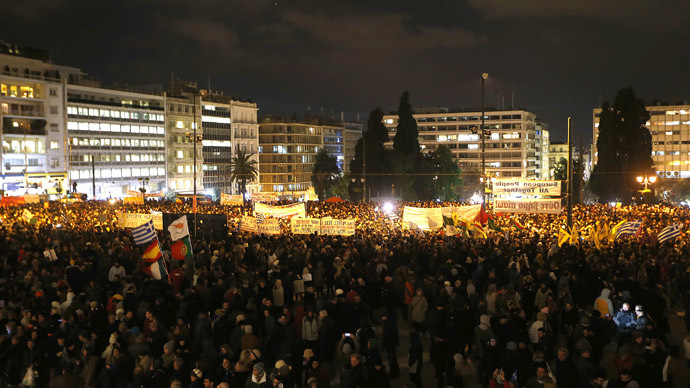 Many of the protestors showered Prime Minister Alexis Tsipras and the new government with praise for challenging Brussels. 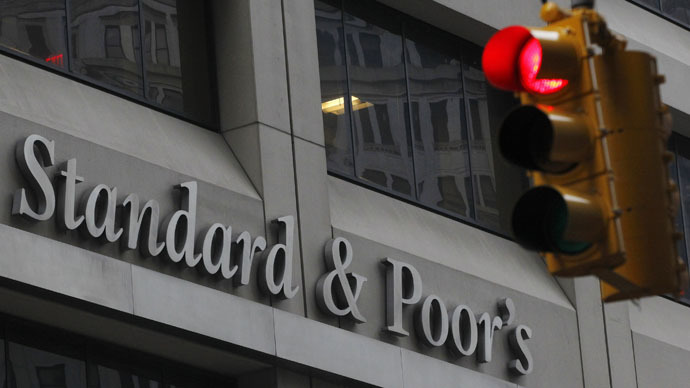 Talks between eurozone finance ministers regarding Greece’s debt are scheduled for Monday. If an agreement is not reached by the end of the month – when the current deal expires – Greece risks being forced out of the eurozone. 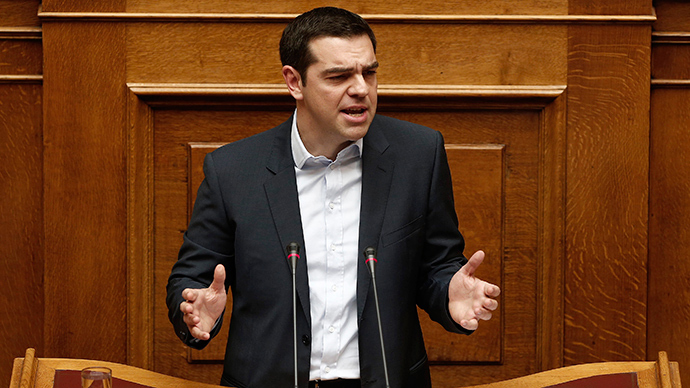 Tsipras is pushing for a bridge program while a new deal is developed in the coming months. The rest of the eurozone, however, maintains that Greece must stick to the commitments made under the previous deal, while the country is paying off its huge €280 billion loan. 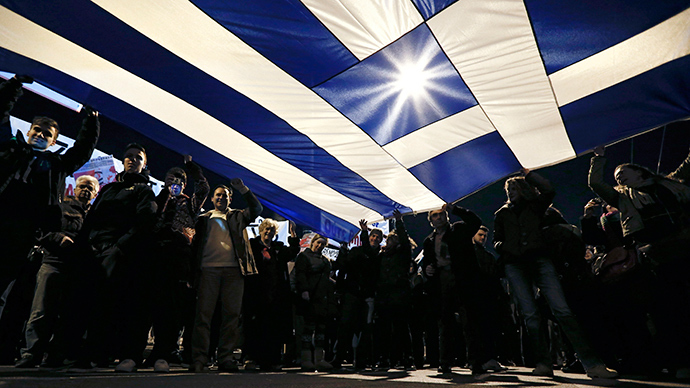 Supporters in other European capitals also came out in solidarity with Greece. 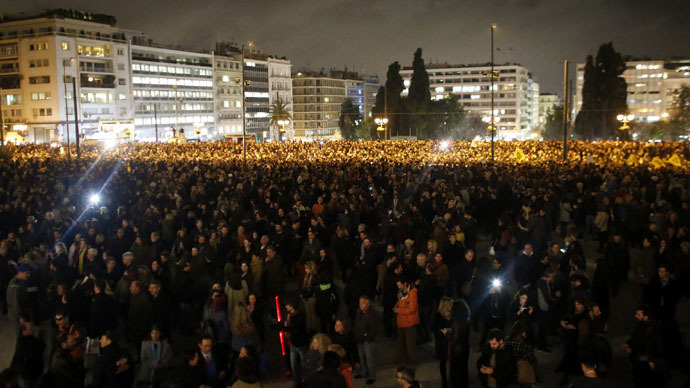 Around 2,000 people took to the streets of Paris, while hundreds gathered in London and Lisbon.